Stonehaven is a lovely upscale suburb in Simpsonville, South Carolina, off of Five Forks and Woodruff Road. Stonehaven properties initially began construction in the late 1980’s and has grown into the community oriented neighborhood you see today. The City of Simpsonville has been recognized as one of the ‘25 Best Affordable Cities’ by Money Magazine and was named as one of the ‘10 Best Town for families in 2010’ by Family Circle Magazine. Stonehaven homes for sale are surrounded by mature trees and well maintained yards along winding roads and cul-de-sacs. Properties here are typically larger than average and sit on lots that range from 1/3 to 1/2 of an acre. Explore Stonehaven real estate listings below or learn more about this upscale community. Location is what draws many residents to this neighborhood. Stonehaven real estate is in a great location with great schools. This neighborhood is assigned to Stonehaven, Bethel and Oakview elementary schools as well as Mauldin Middle School and Mauldin High School. 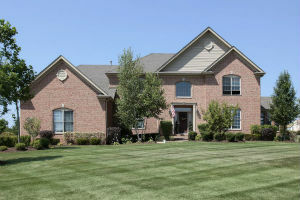 There are over 400 homes in this subdivision with two home owners associations. Each homeowners association of this upscale subdivision has its own clubhouse. Both clubhouses have their own pool, tennis courts, basketball courts and picnic area. Stonehaven real estate is situated among the sloping hillside and scenic foothills of South Carolina. This community is primarily made up of single-family homes that are a little larger than average. Homes sizes range from 2,800-4,000 square feet in size. Driving through the peaceful roads of Stonehaven you’ll see pristine homes with brick façades and manicured lawns. This is a lovely place to call home. Stonehaven homes are a great place to raise a family. Contact us to day to learn more about Stonehaven real estate and nearby properties for sale.